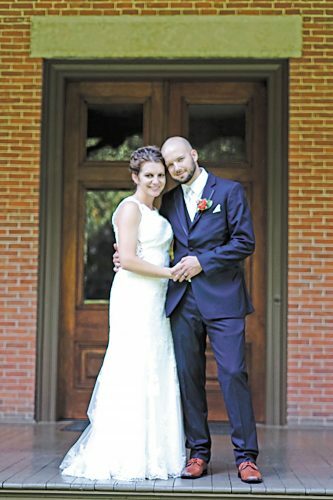 Andrea Eckelberry and Cyle Marks exchanged wedding vows at 3:30 p.m. Sept. 13, 2014, at the groom’s grandparents’ home, Nicholls Farm, in Sandusky County. The Rev. Gary Hicks was the officiant during the double-ring ceremony. The wedding reception continued at Nicholls Farm. 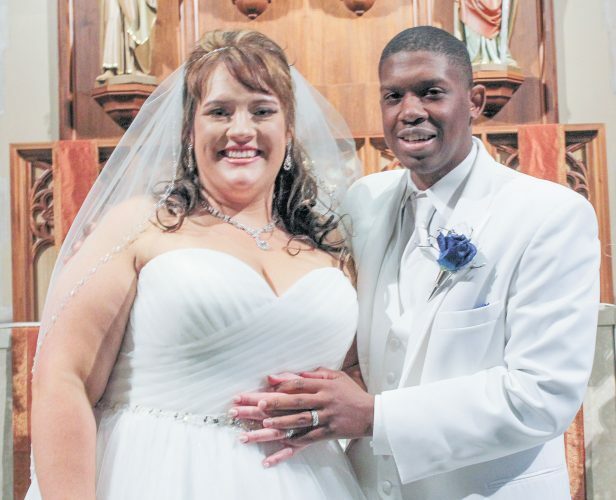 The bride is the daughter of James and Patricia Eckelberry of Tiffin. The groom is the son of Kendra Marks of Bloomville and the late Darek Marks. The bride, given in marriage by her mother, wore an ivory, strapless gown with an empire bodice and chapel-length train. The bodice featured floral-pattern embroidery in violet and satin-covered buttons up the back. She carried a bouquet of lilies with accents of branches. Attendants wore floor-length, mint chiffon, strapless dresses with cream lace overlays. They carried smaller bouquets similar to the bride’s. 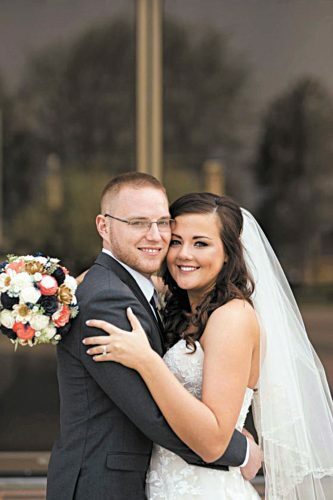 Chelsea Adkins of Lakewood, friend of the bride, was the maid of honor. Bridesmaids were Stephanie Bish and Jessica Wise, both of Tiffin, Lauren Phillips of Carey and Lauren Smith of Columbus, all friends of the bride. Flower girl was Lillianna Marks and the ring bearer was Dominic Marks, both of Texas, niece and nephew of the groom, respectively. Best man was Dennis Marks, brother of the groom. Groomsmen included Jay Eckelberry of Lakewood, brother of the bride, and Cameron Cory, Derek Depinet and Clinton Klase, all of Tiffin and friends of the groom. 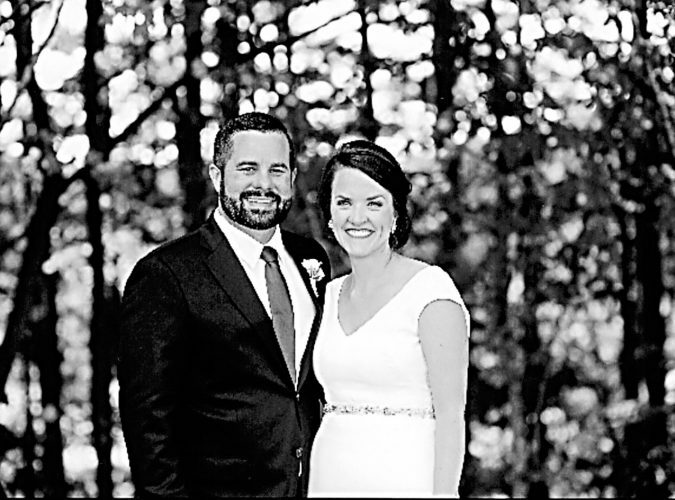 The bride, a 2007 graduate of Columbian High School, is to graduate from Columbus State with a nursing degree in August. She is employed at Seneca House as a nurse’s aide. 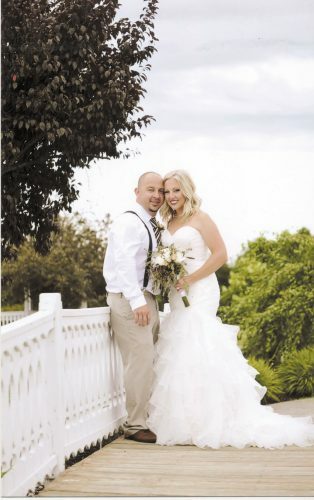 The bridegroom, a 2008 graduate of Seneca East, is employed by BOCA Construction. The bride was honored with a miscellaneous shower given by her aunt, Jean Eckelberry. The couple lives in Tiffin.